Love this festive season in Pune. 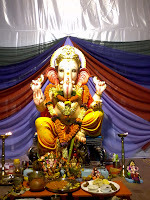 And the ongoing Ganesha festival is kind of an identity for the city. 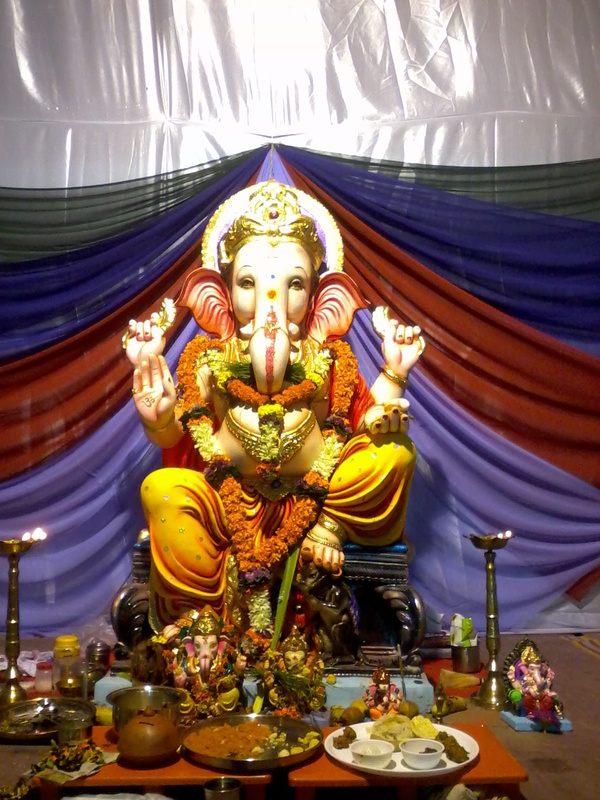 So many beautifully decorated idols are seen everywhere across the city. 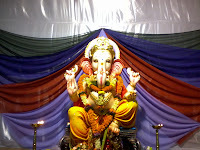 I love visiting the inner city areas of laxmi road and peths to catch a glimpse of the decorations. We also celebrate it socially in our societies/colonies. We have several cultural programs and competitions. This has always been a time we kids looked forward to in our school days. In our teens this was a good bonding time which more than often saw a love story taking shape .. :). Personally, I've always looked forward to this festival for the modaks .. :D. Our society had a wonderful program this year as well and a very peaceful Ganesha idol which you can't take your eyes off. 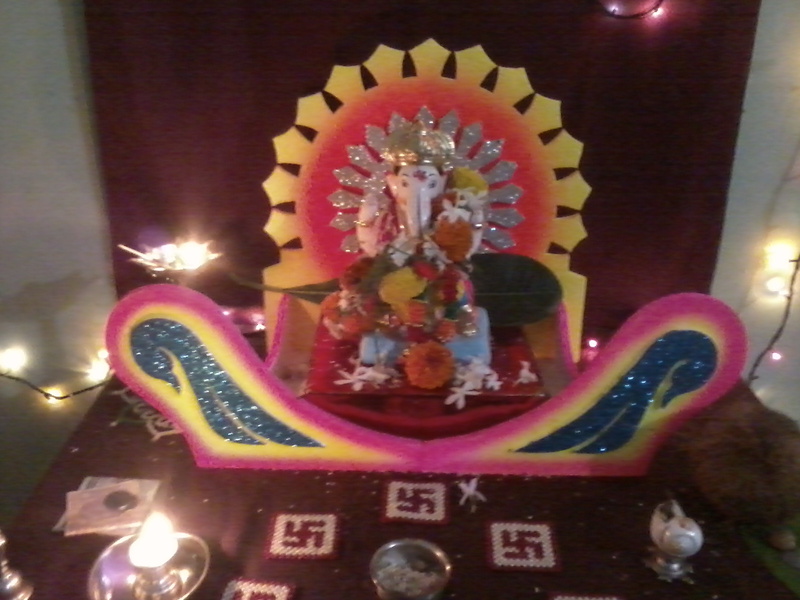 We celebrate this festival at home as well. From childhood days, I remember working hard into the night the previous day to complete the decorations. 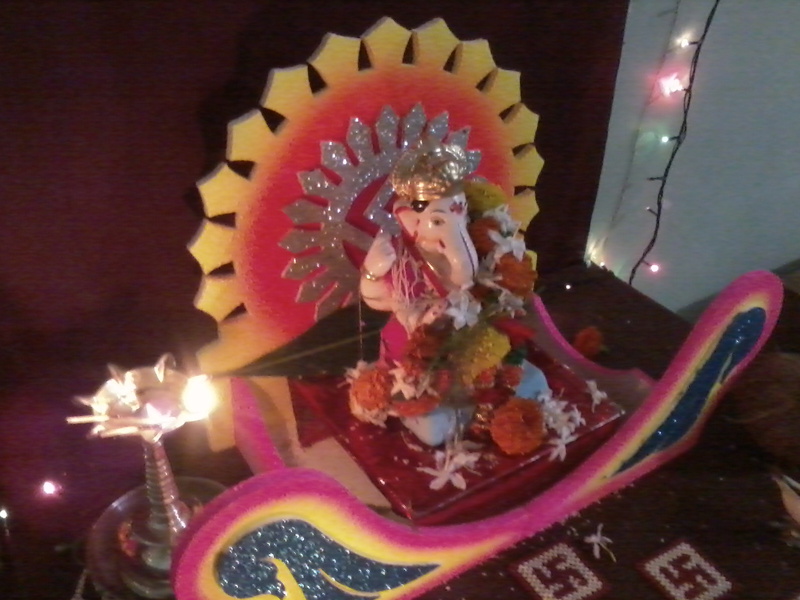 On the Ganesha pooja day, we start the day early. Bath is a must without which you are usually not supposed to start preparing the food or finish up the decorations. 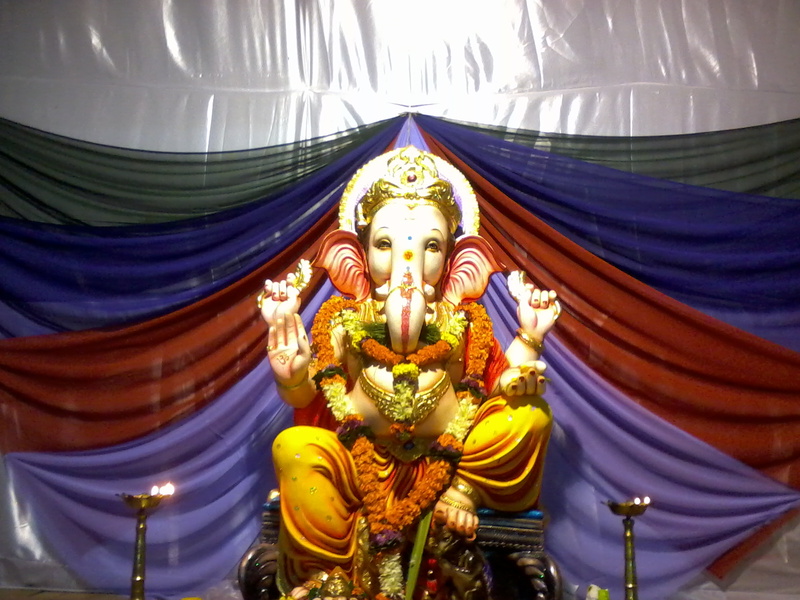 We have Aarti twice daily. People usually go to each other's houses for these Aartis. Most Ganesh festivals celebrated at home end in 1.5 or 5 or 7 days. 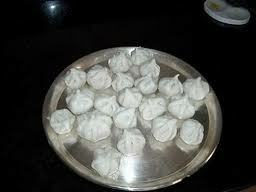 Best part is the modaks - we have the traditional 'ukadiche modak', the more popular 'talalele modak' and finally the 'khowa modaks' which we usually buy from the mithai shops. For the prasad, we also have the 'khirapat' which is a sweet mix of - dry coconut shavings, grounded sugar and dry fruits like dried dates, dried grapes, kaju, pistachios and almonds.